Linsly is very proud of its 200 year history. Founded in 1814, The Linsly School is the oldest preparatory school west of the Alleghenies. Its founder, Noah Linsly, coming from Connecticut to Wheeling to practice law, made provision in his will for the creation of a school for boys and girls. Chartered as a Lancastrian Academy, the school originally occupied a site on 13th and Chapline Streets. The site of its second building at 15th and Eoff Streets was loaned to the new state of West Virginia for its capitol from 1863 to 1870. 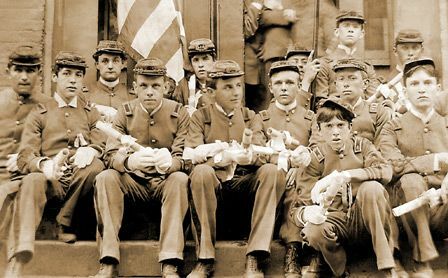 By 1861 admission was limited to boys, and by 1877 the academy was known as Linsly Military Institute, adopting the dress and the discipline of a military school. Old Main at Thedah Place marked the third location of Linsly. From 1927 Linsly students have generated through their academic and athletic achievements the enthusiasm of its leaders to continually expand the Linsly facilities. 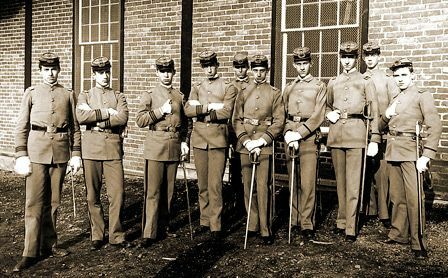 In 1978 the Board of Trustees voted to change the military structure of the school and adopt the philosophy of a traditional boys’ college preparatory school. Continuing in its desire to provide a quality education for the Ohio Valley region and beyond, the Linsly Board of Trustees announced on November 5, 1987, that beginning with the 1988-89 school year, Linsly would be a coeducational school. While extremely proud of Linsly’s rich past, the president of Linsly's trustees emphasized, "A coeducational environment best prepares young people intellectually, socially, and psychologically for the world in which they live and the colleges they will attend." Today, Linsly is proud of its campus and its complex located along historic National Road – fulfilling the words of its founder "Forward and no retreat," and the words of Mrs. Sophie Banes, its benefactress, "Linsly will, in the years to come, influence the lives of hundreds of young people who will go forth to serve their fellow men." If you are interested in Linsly's proud and rich history, please contact the Museum Office to arrange a tour of the school museum, located in the Dlesk Conference Center.